The Little Monster is back, ITS NOW A HYBRID AND its bigger than ever! If you are looking for a big 4150 bolt pattern four barrel carburetor, the Little Monster has you covered. 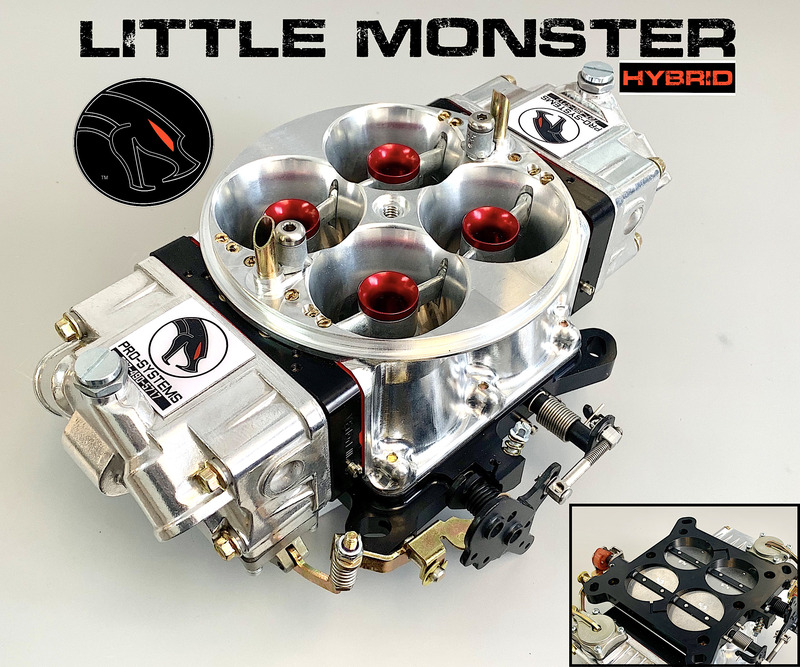 The Little Monster is a Hybrid of combined Dominator style 4500 series parts and 4150 style components to get BIG cfm from a 4150 bolt pattern carburetor (1300 cfm is where this Monster begins). With 2.125 throttle blades as a starting point, the Little Monster can feed 1100 horsepower engines and not even break a sweat!! Equipped with our VENOM series metering blocks, throttle response and shift recovery is insane, so don’t let the big cfm fool you, it won’t be lazy… it will be a MONSTER!! Be aware, most 4150 intake manifolds will require clearancing to allow the larger 2.125 blades to fit as a direct bolt on to your 4150 intake manifold… but if you have a high powered engine that needs big cfm… the Little Monster is the way to go! !